SEAFEED, THE ADVANCEMENT IN AQUACULTURE INDUSTRY.. The SeaFeed project has been subsidized by the Galician Innovation Agency (GAIN) through the CONECTA PEME program for the year 2018, co-financed by the European Regional Development Fund (ERDF) within the framework of the ERDF Galicia 2014-2020 operational program within the OT1 “Promote or develop technology, innovation and quality research” PO ERDF Galicia 2014-2020. In the consortiated project FEEDING SYSTEMS, S.L., MONTAJES CANCELAS, S.L., ENGRANOR, S.L. and QUANTUM INNOVATIVE S.L. with a total budget of € 1,064,241.40 and subsidy granted of € 613,261.28. 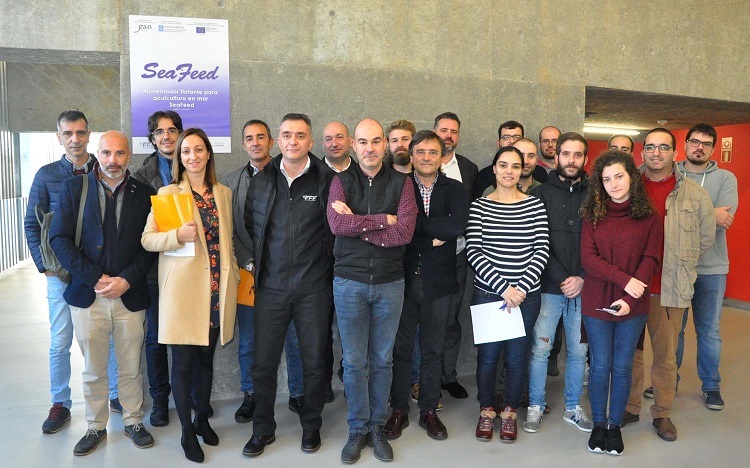 The objective of this project is the development of a feeding system for aquaculture at sea, whether offshore or near the coast, automated, intelligent and autonomous, installed on an energy-efficient floating platform, which allows to optimize the feeding processes and guarantee the technological independence of the Galician aquaculture industry against the technical importation of third countries. Montajes CancelasSin categoríaSEAFEED, THE ADVANCEMENT IN AQUACULTURE INDUSTRY.